My twenty-second ground of 2017 was on Monday 28th August at Test Park in Southampton, Hampshire. The match was Team Solent vs. Bournemouth in the Wessex League Premier Division. The football ground is part of the Test Park Sports Facility in the west of Southampton. 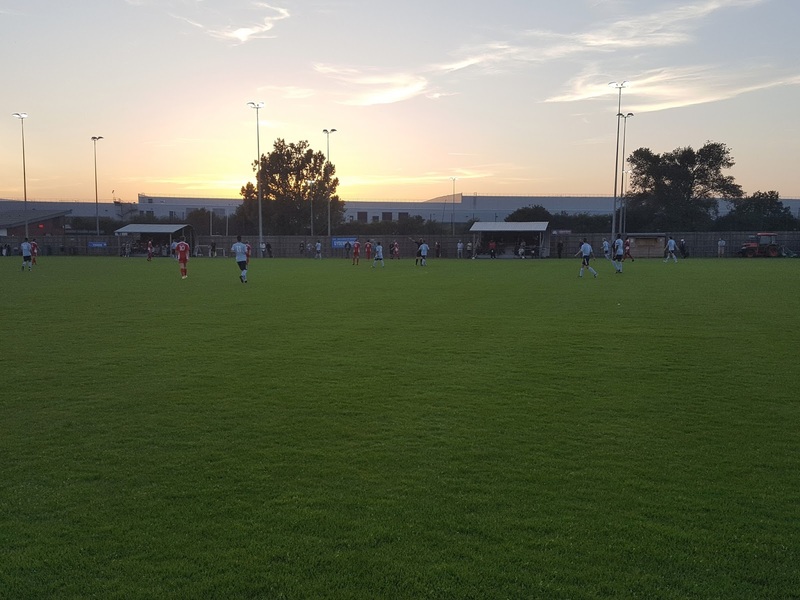 Bordering the western side of the ground there is a full-size multi-purpose artificial pitch and there are further mini-pitches and Southampton rugby club to the south. A primary school sits on its northern edge with a scout group to the east. The venue is a mile north of Redbridge railway station. The western side of the ground contains two unusual looking all-seater stands. One of the wave-like structures is towards the southern goal and has 49 seats with the other close to the half-way line able to hold 47 fans. The remainder of this side is uncovered standing. The only other stand at the venue is a small 6 row metal terrace which sits at the northern end of the ground. The remainder of Test Park is uncovered standing. The eastern side has a large undulating grass area behind the hard standing area and the two dugouts close to the half-way line. The southern end is more limited on space but there is a very modern club building behind this end which includes the dressing rooms and the 'Pitchside' cafe and bar. 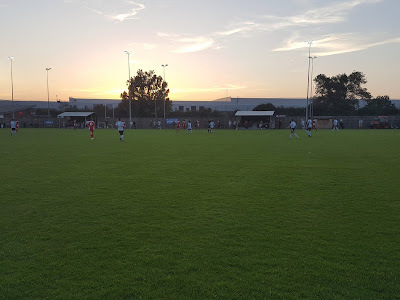 The game got itself first real chance after a quarter of an hour when Solent's Jim Orvis got into the area from the right wing but his shot was easily saved by Nick Thomas in the Bournemouth goal. 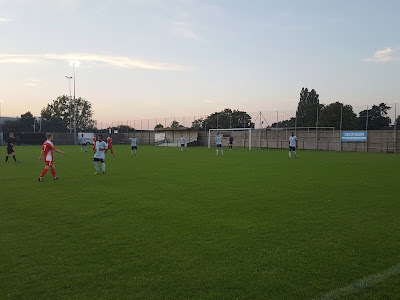 In the 36th minute the best chance of the half also fell to Solent when the ball ricocheted in the box for Silvano Obeng who should have scored but his tame shot was palmed to safety by Thomas. The first 45 minutes were an even affair but both side were low on quality in the final third. This theme continued into the second half as well. In the 65th minute Solent went close again when a ball into the area was headed down by for Jemal Wiseman by Silvano Obeng but Wiseman dragged his effort wide from close range. A couple of minutes after this the home side had a corner cleared off the line. 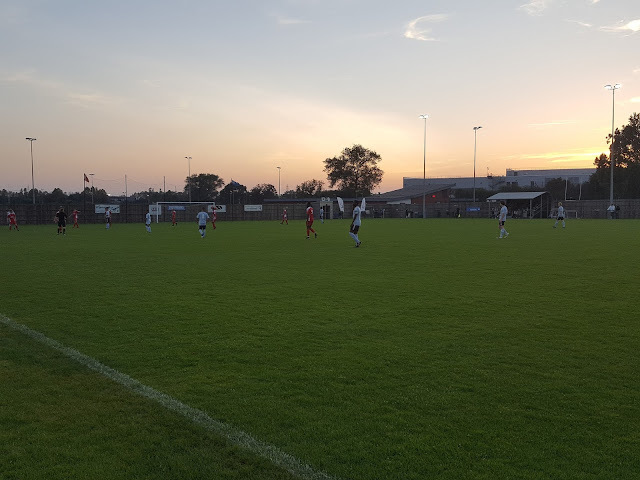 The visitors created their best opportunities in the final stages of the fixture. 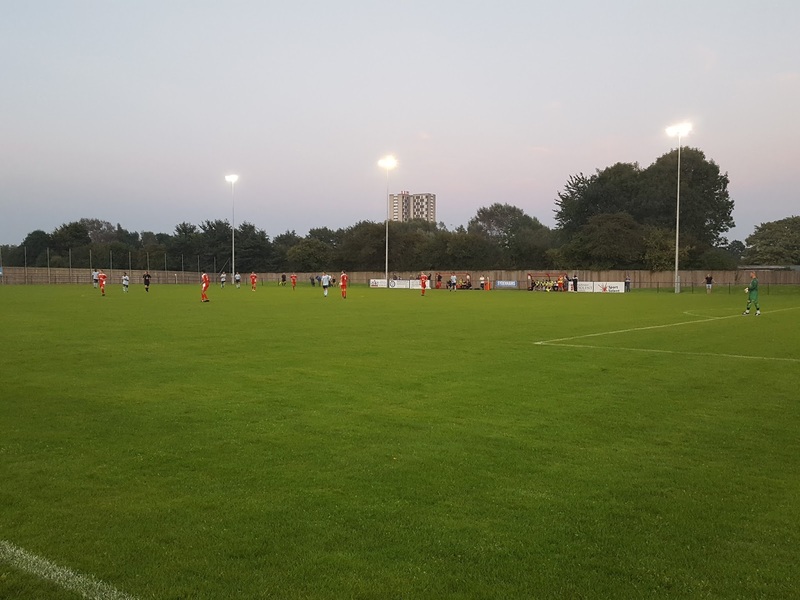 In the 85th minute Ali Fakhal curled an effort from the edge of the area which came back off the crossbar and in the 96th minute the last kick of the match saw a Sami Makhloufi free-kick require a good save from home keeper Scott O'Rourke to secure a point for Solent. In truth it would have been harsh on Bournemouth to leave with nothing as the 0-0 scoreline was a fair reflection of the balance of play on the night.